The Jojoba Company is an Australian skin care brand which house a range of luxurious products containing core ingredient Jojoba Oil. The Jojoba Company formulate their products using wax esters found in Jojoba Oil, because these wax esters are similar in properties to natural wax esters found in our skin. These wax esters provide protective and nurturing properties to maintain the natural goodness found deep in our skin that contribute to the radiance and glow our skin can reveal. This Mother's Day, The Jojoba Company have a couple of suggestions on some skin and hand products that you Mum will fall in love with! 100% Natural Ultimate Jojoba (A$39.95/50ml) is known is the 'Youth Potion' which features a powerful concoction of jojoba, vitamins and antioxidants. This Youth Potion helps to smooth the appearance of wrinkles and fine lines thanks to the ultra hydrating properties of jojoba oil and aims to reduce the appearance of uneven skintone. The formula also contains Omega 6 and 9 fatty acids and Vitamins A, D and E which all work together to improve skin texture and appearance. The scent of this formula is reminiscent of linden blossom and leaves the skin feeling rejuvenated, revived and relaxed! If your mum is in need of a skin pick-me-up, then this 100% Natural Ultimate Jojoba may be the one to help ease the stresses and ageing of skin. Lemon & Coconut Hand Cream (A$22.95/50ml) is an exquisite hand cream that is 95% natural and ideal for sensitive skin in need of revitalisation and hydration. This hand cream is enriched with Vitamin E, and Cocoa and Mango Butters to help soften, sooth and load skin with antioxiants and nutrients. The non-greasy formula means that your mum could apply this Lemon & Coconut hand Cream on-the-go and/or anytime during the day/night! The Jojoba Company products are all Australian made and owned. The products are free from mineral oils, parabens, artificial fragrances and colours, and contain no animal derivatives. The Jojoba Company products can be purchased online here. Will you be pampering your Mum this Mother's Day? What are your thoughts on The Jojoba Company's luxury gift ideas for Mother's Day? Products were provided for consideration only. This review is 100% based on my own thoughts and opinions. I am not affiliated with The Jojoba Company and did not receive remuneration to post this product review. The core ingredients Lemon and Coconut make this hand cream so luxe! I would buy it for myself too hehe! Just had a look at the products on their website. A very nice Mother's Day idea. I will have a closer look at my local stocklist. 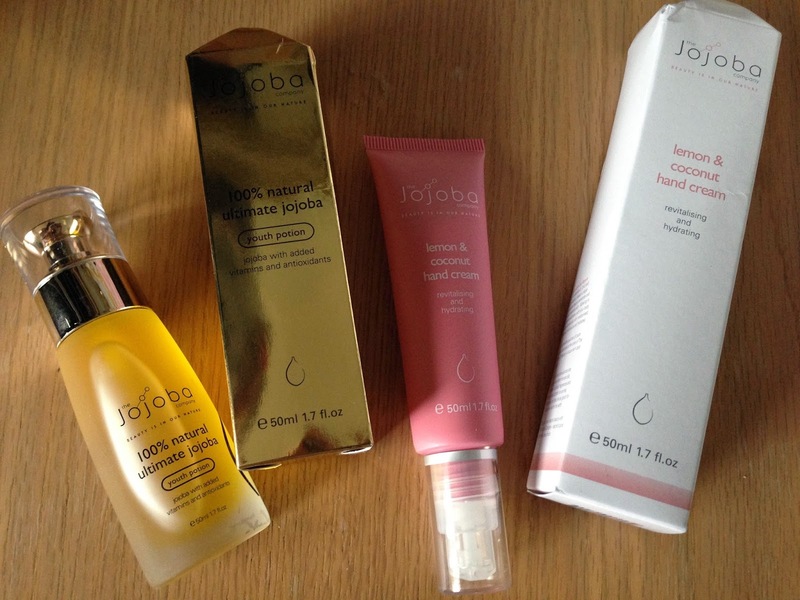 The Jojoba Company skincare and body care products are truly lovely! Have fun exploring their product range Kat Ness!